Grandad, how did you pirate music before the internet? Well, it was difficult. The only source of music then, apart from the record shop, was the radio. I didn't really bother to try and tape radio before the introduction of dual cassette decks. 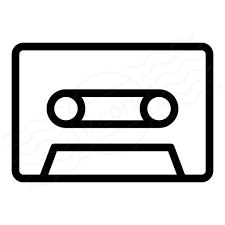 Once you could dub from one cassette to another, you could record a radio show on one tape, and then play it back and cue it up, and tape a track you liked onto another cassette. One thing you had to keep an eye on was the end of the first tape! Nothing more frustrating than leaving it too late to flip it over, so a song you want is cut by the end of the tape. Also you had to pay attention to the back announcements. The only way to get the name of a song was to listen for the DJ to back announce the tracks and make a note on a paper pad, which you then transcribed onto the cassette insert once you finished a tape. Gosh, that all sounds very laborious! Yes, but there was a sense of accomplishment in composing a mixtape from the radio, catching songs like fish, never knowing what you would get. Things are better now. You can listen to my collection of tapes made from broadcasts on mainly JJJ and some Triple M in the late eighties. I used to be embarrassed about some of the songs I liked enough to keep, but now I don't care. Anyway, you kids love the eighties now, don't you? Anyway, no sniggering or I'll delete them.